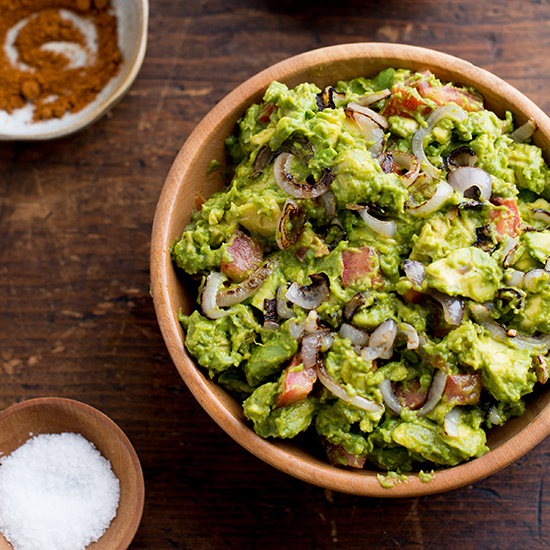 This untraditional guacamole recipe gets a little smoky flavor from smoked paprika and chipotle. 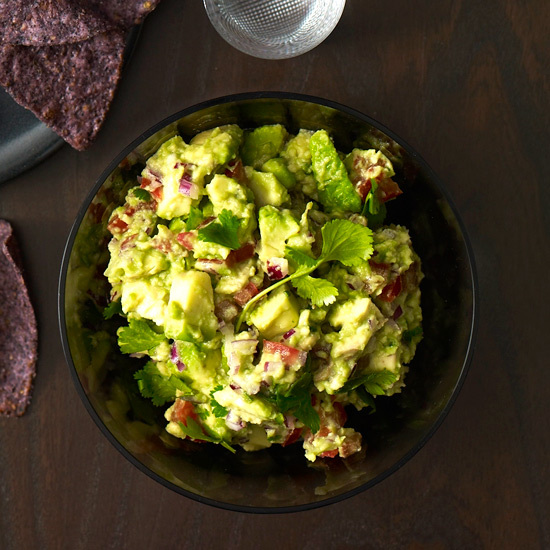 With loads of fiber, folate, potassium and vitamin E, avocados are a genuine superfood. 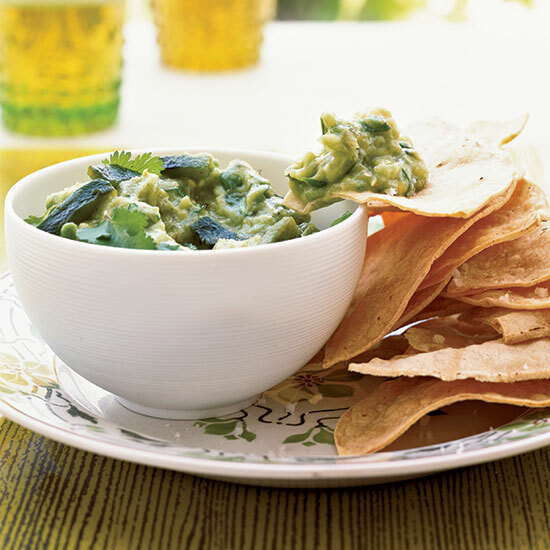 Tim Cushman purees them with roasted tomatillos, garlic and jalapeño to create a tangy guacamole-like dip that's great with baked tortilla chips. 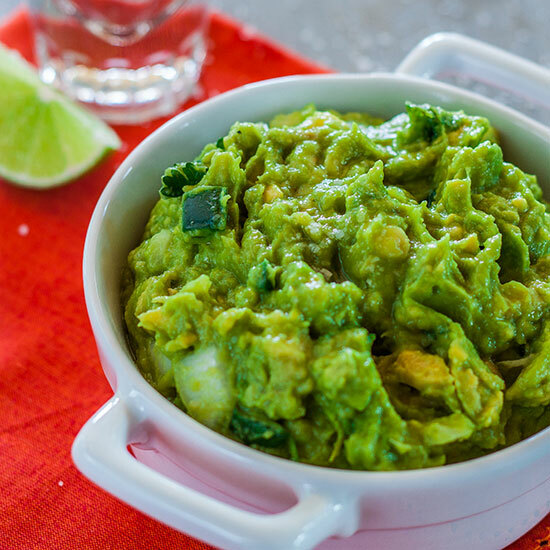 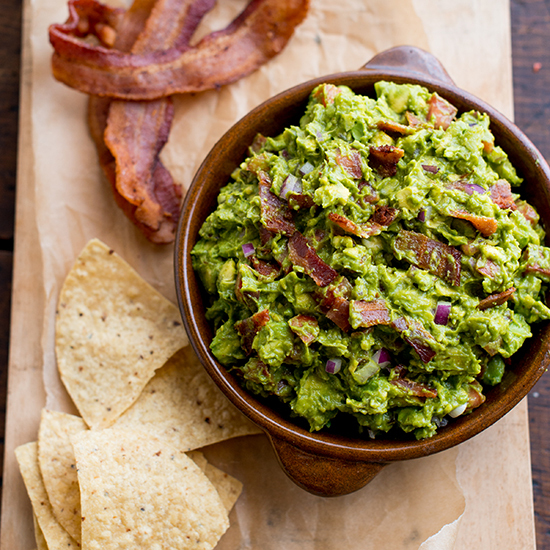 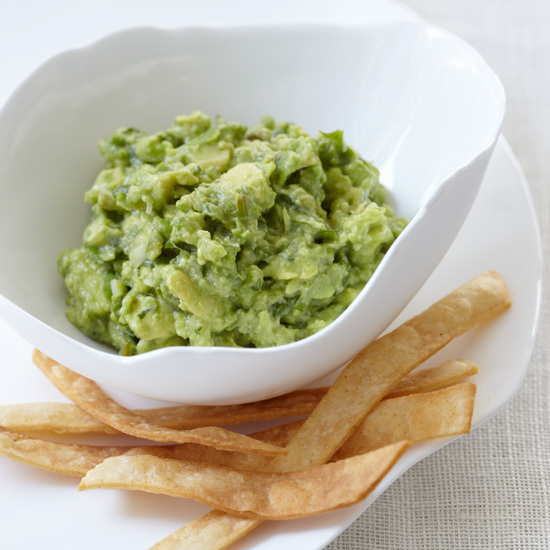 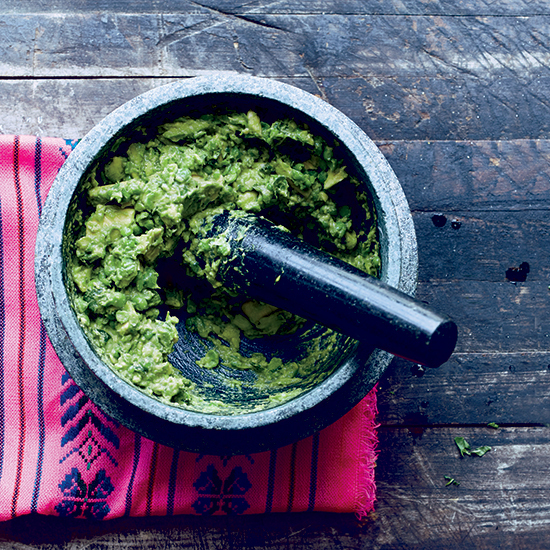 This hearty guacamole can be served with tortilla chips or warm tortillas. 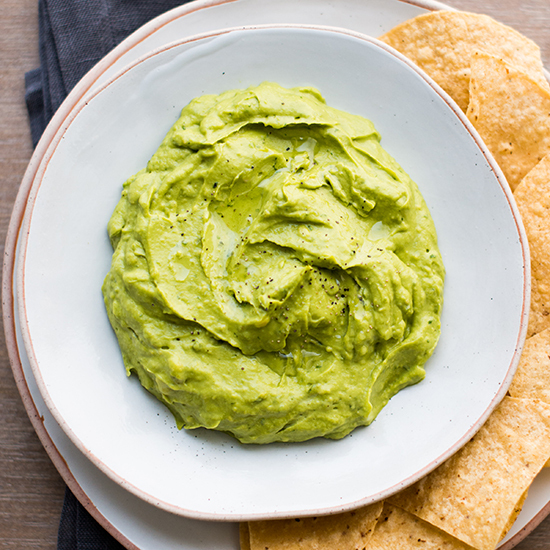 There are no chunks in this superbly smooth guacamole, which uses a little mayonnaise to amp up the creaminess. 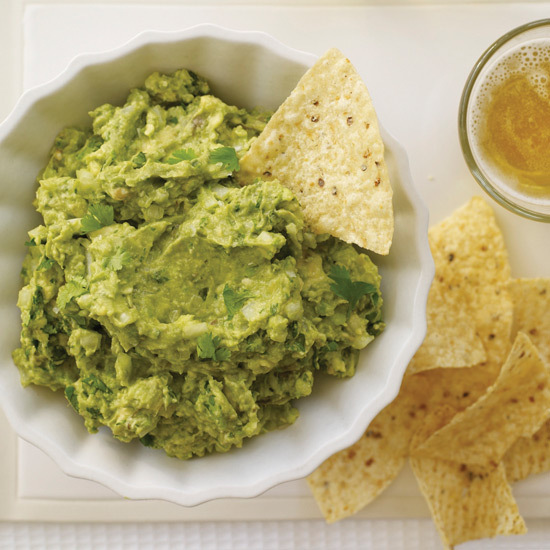 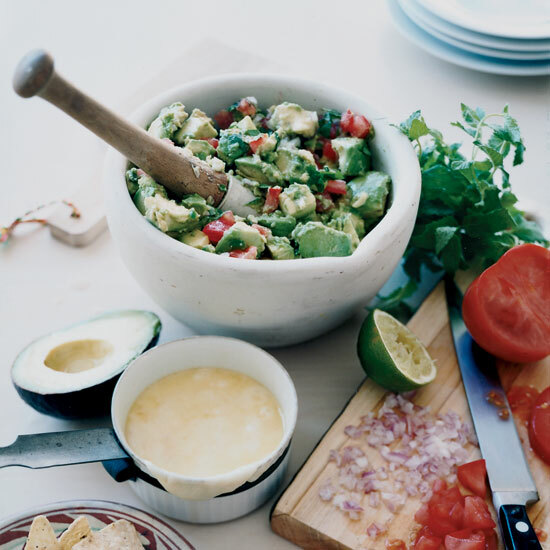 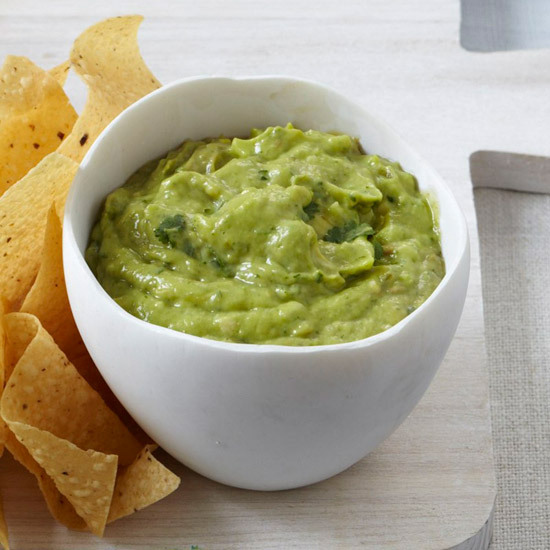 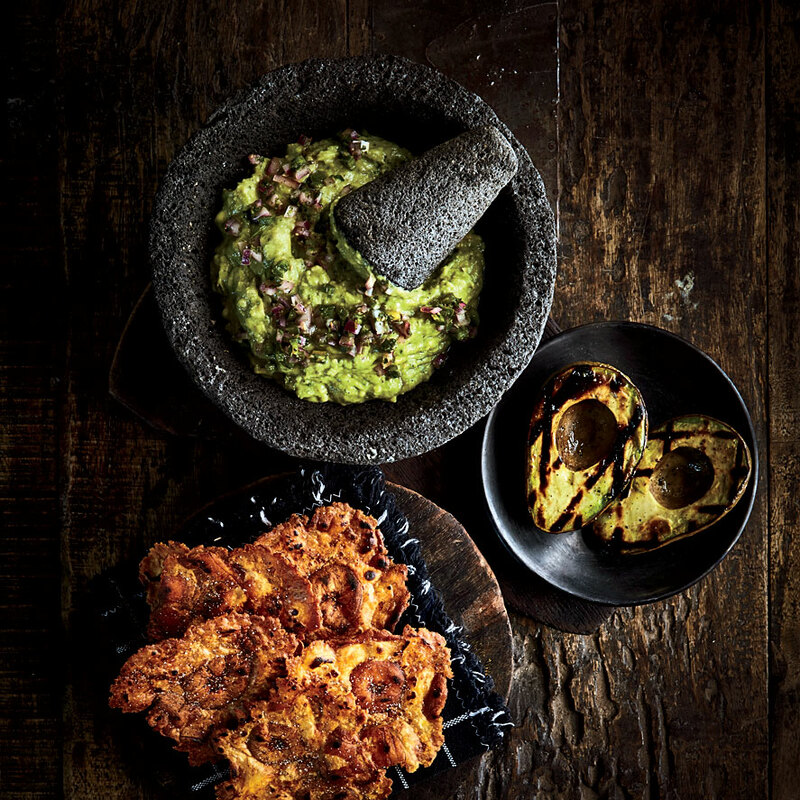 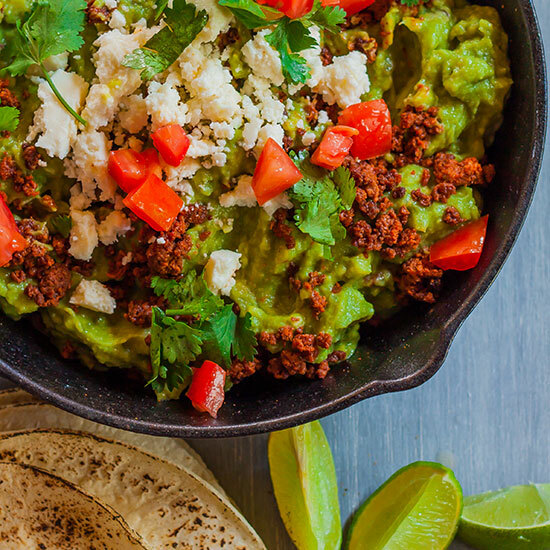 Choosing a guacamole recipe that will please everybody is no easy task, but this one from F&W's Marcia Kiesel is a winner because of its subtle tartness, nicely balanced heat and creamy-chunky texture. 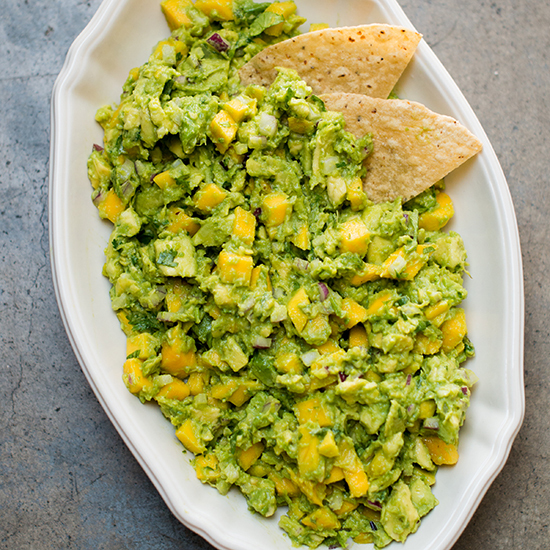 The sweetness of mango is right at home in this fresh, lime-tinged guacamole, which takes only 15 minutes to make.